Be the first to rate it! 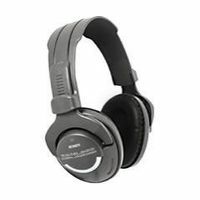 Sealed ear cups and soft ear cushions reduces sound leakage . Tuned port bass for powerful low frequency reproduction . Oxygen-free copper cable for increased durability . (C) Copyright 1996-2018. All Rights Reserved.